Last summer, Rita and I experienced probably the most physical and emotional 18 day trip we have ever taken in our almost 50 years of marriage. The trip was an American Jewish Congress Tour highlighting the lost Jewish communities and the Nazi concentration camps and killing fields throughout Poland, Lithuania, Hungary, and the Czech Republic. One of the main reasons we went on the trip was because its itinerary included Vilna or Vilnius, the capital of Lithuania. About 3 years ago, I discovered that my maternal ancestors came from the shtetl of Eishyshok, about 30 miles from Vilna. While I knew that the shtetl was completely annihilated by the Germans in World War II and that only a few Jews survived the massacre, I did want to see my ancestral home. If any of you have been to the Holocaust Museum in Washington DC, you may recall the “Tower of Life” exhibit that Professor Yaffa Eliach set up in the Museum depicting hundreds of pictures of Eishyshok families killed by the Germans. Professor Eliach has written a wonderful book on Eishyshok called “There Once was a Town” a 900 year history of the Jews of Eishyshok. A 90-minute TV documentary on the book was shown on PBS on the East Coast last Rosh Hashana.. The video is narrated by Ed Asner, whose family came from one of the small ‘suburbs’ of Eishyshok..
Rita and I and another couple from the AJC tour hired a guide and driver to take us to Eishyshok from Vilna. At its height, Eishyshok was a prominent Jewish shtetl as Jews had been there for 900 years. It had a large and eminent Yeshiva and a very active Jewish life. After arriving in the shtetl we discovered that the guide had never been there and knew nothing of its history. Thanks to Rita’s foreign language proficiency we were able to talk to some of the local people. We discovered that in 1939, Eishyshok and its environs had about 5000 people, 4000 Jews and 1000 Poles/Lithuanians and Russians. When we asked to see the Jewish cemetery, we found a young man of 17, Tomas, who said he knew the place where the Jewish men were buried and another place, where the Jewish women were buried. He said they were about a mile or so out of town and he would take us there. We said, while orthodox Jewish women and men may pray separately, they were buried in the same place, and although what he said didn’t make sense to us, we went with him. Tomas then took us to another area about a mile or so away. A similar memorial was there which used the same words and said on this spot on the same two days the Nazis viciously killed 1500 Jewish men from Eishyshok. So, apart from a handful of survivors who were able to escape into the woods, or were sheltered by some local Lithuanians, the Germans wiped out the entire shtetl in two days. While most of my direct line relatives left Eishyshok in the late 1880’s and 1890’s, I am sure that there were some of my more distant relatives among those 4000 poor souls who were killed during those two days. Needless to say, seeing these two memorials was one of the most emotionally draining experiences I have ever encountered. In addition to the two memorials, Tomas introduced us to his Grandfather, a man of about 75 who showed us where the synagogue, cemetery and mikva once were in Eishyshok. 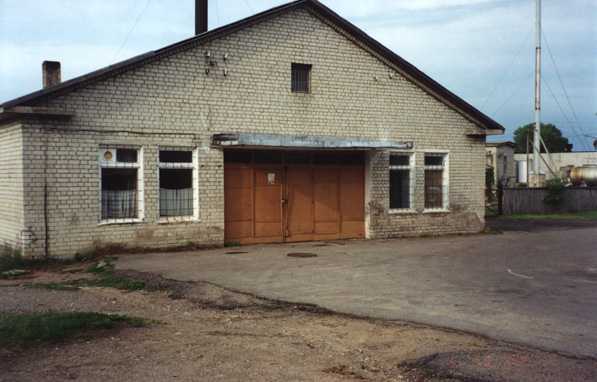 The building that housed the synagogue was used by the Germans as a storage building and then by the Russians as a sports arena. It is now abandoned and in ruins. The Germans destroyed the old Jewish cemetery and the Russians built a school over it, which is now also abandoned. If one ignores the paved streets, the electrical and telephone lines, Eishyshok looks like the village from “Fiddler on the Roof,” small wooden buildings with tin roofs, dirt sidewalks, out houses just like something out of the 19th century. Today Eishyshok has about 3500 people-no Jews.